Beautiful vintage art glass bowl from Joska Designs. 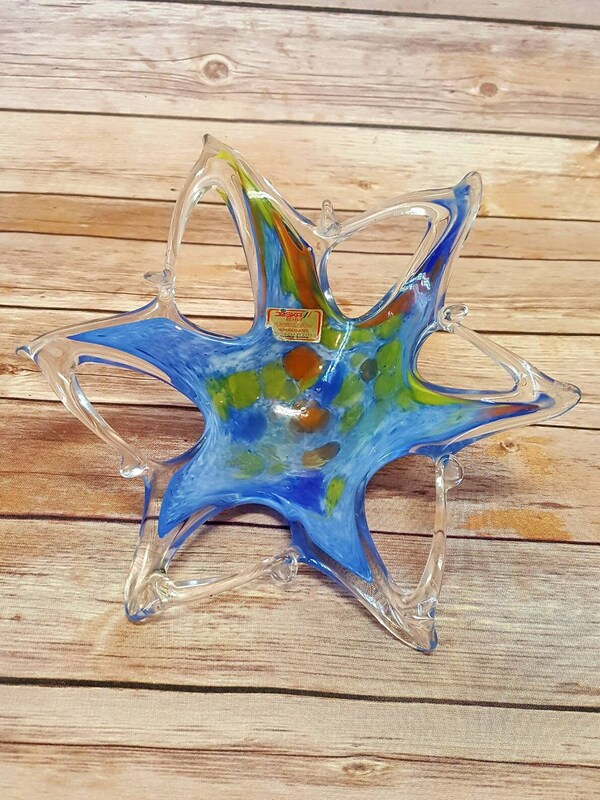 Star or flower shaped clear glass with a thin layer of blue, orange, and yellow encased within it. The original tag is still partially attached. The bowl is in great condition with no chips or cracks. Bowl measures 9 inches at widest point.